We Provide Same Day Diagnostics! Please Call Us For A Pre-Repair Phone Consultation! Are You Having Computer Problems? - We Provide Same Day Diagnostic Services! Best Buy "Geek Squad" Takes 5-7 Days To Repair Your Computer | With Us, Get Your Laptop Fixed Within 24-48 Hours! At Laptop Repair Geeks of DC, our goal is to make resolving your computer mishap the most pleasant and stress free experience possible. We provide expert hardware and software repair services for most computer systems and laptop brands to include: Dell, Lenovo, Hewlett Packard, Asus, Acer, and Toshiba. 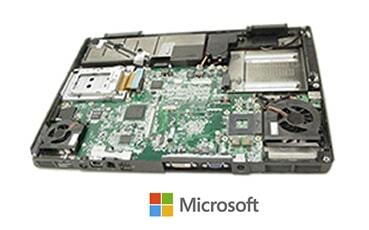 We offer a variety of computer repair services to include but not limited to: Windows 10 Operating System recovery, laptop screen & keyboard replacement, data recovery and file transfer, virus and malware removal, Windows password recovery, memory and hard drive upgrades, software/operating system rebuilds and home networking & WiFi installation services. In addition, we also provide computer repair and network support services for small businesses located within the NW corridor of the District of Columbia. Is Your Computer Problem Repairable? | Let's Talk About It | Please Call Us For A Pre-Repair Phone Consultation And Price Quote! 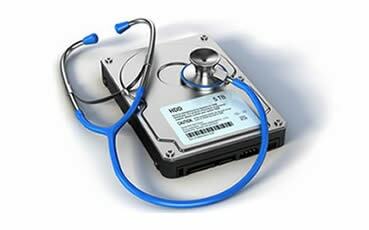 Prior to dropping off your computer for a diagnostic evaluation or a specific repair service, please call us @ 202-629-0369 for a free Pre-Repair Phone Consultation. A Pre-Repair Phone Consultation allows us to verify in advance, that we can provide a solution that meets your expectations from a repair time-line and overall cost perspective. In addition, if your situation requires a replacement part, a Pre-Repair Phone Consultation allows us to confirm, in advance, that replacement parts are available for your computer model. Moreover, once it is confirmed that we can resolve your issue, we will also provide a written price quote for you to consider. If you have a general repair question or are just shopping around for pricing for a specific repair or service, you can Email Us at RepairQuote@laptoprepairgeeks-dc.com and we will provide a written price quote for you to consider within (2) hours of receiving your request during normal business hours. If your price quote request is submitted after business hours or on the weekend, please allow a (4) hour time-frame to receive a prompt response. If your repair request requires a replacement part, such as a Keyboard, Battery, CPU Fan, DC Power Jack or an LCD Screen, please provide the Make, Model Number and Serial Number of the computer. This information is typically found on the bottom of the laptop and if possible, please take a picture of the model and serial number information with your cell-phone and send it to us. An example of the needed information is as follows: Manufacturer: Dell | Laptop Model: XPS 13-9350 | Serial Number: J2W88H1. Please Call Us For A Pre-Repair Phone Consultation To Confirm The Repairability of Your Computer Problem! Hey, Laptop Repair Geeks, I Want To Drop-off My Computer Now? Not a problem, however, prior to traveling to our facility, please call us @ 202-629-0369 for a pre-repair phone consultation to confirmed that we can repair or fix your computer problem. Once it is confirmed that we can support and resolve your situation, feel free to drop-off your computer at your earliest convenience. We are located at 1629 K St. NW Suite 300, Washington DC 20006. From a repair timeline perspective, we provide same day diagnostic services and most repairs are completed within 24-48 hours. 1) Schedule An Appointment To Drop Off Your Computer - To keep our daily work commitments on schedule; an appointment is recommended to drop-off a computer for service. Scheduled appointments receive "Repair Priority" over walk-in clients from a completion time-line perspective. We take pride in providing fast, reliable same day repair services! 2) Schedule The Free Pick-up of Your Computer System - At Laptop Repair Geeks of DC, we know that our clients have busy lives and to ease the stress and frustrations of simply trying to get your computer fixed; we have removed the travel hassle and parking cost associated with dropping off your computer in downtown DC. We now provide free pick-up of your computer system from your home or place of business as a complimentary service for our clients. ***Note: The designated pickup location must be within 5 miles of our 1629 K Street NW location or a $25 travel fee is assessed. 3) Schedule A Computer Repair Technician For On-Site Service - At Laptop Repair Geeks of DC, we provide onsite computer repair services at your home or place of business. We employ a dedicated team of mobile computer repair technicians available to respond onsite at your location within (4) hours of your call to resolve your computer mishap immediately. Note: Some repairs can not be completed on-site, so please call us @ 202-629-0369 to confirm the repairability of your situation. We Take Pride In Providing Hassle Free Results At The Best Price! For immediate care, you can Schedule a Service Appointment Online or Call 202-629-0369. At Laptop Repair Geeks of DC, our mission is to offer the best value of computer repair services available within the District of Columbia. With respect to our services, we stand behind our work and provide a 12 month OEM part replacement warranty. If you encounter any problems or issues related to a service or repair that we have made, our computer technician will travel to your home or place of business to resolve the issue at no extra cost. Your satisfaction is paramount to us, that's why we will do everything we can to make the situation right. That's Our Promise - That's Our Policy! Most Repairs Completed Within 24-48 Hours! At Laptop Repair Geeks of DC, we provide expert hardware and software repair services for most computer systems and laptop brands to include: Dell, Lenovo, Hewlett Packard, Asus, Toshiba and Acer. We offer a variety of computer repair services to include but not limited to: Windows 10 and Mac OSX Operating System recovery, laptop screen & keyboard replacement, data recovery and file transfer, virus and malware removal, Windows password recovery, memory and hard drive upgrades, software/operating system rebuilds and home networking & WiFi installation services. For immediate care, you can Schedule An Appointment Online or Call 202-629-0369. Getting your computer or laptop fixed shouldn't cost you and arm and leg. At LaptopRepairGeeks.com, we offer a fixed and affordable labor rate pricing model that is fair and consumer friendly. We believe that our labor rates are cost effective and unlike our competitors, we publish our labor rates on-line and most repairs can be completed for under $100. For immediate care, you can Schedule a Technician Online or Call 202-629-0369. 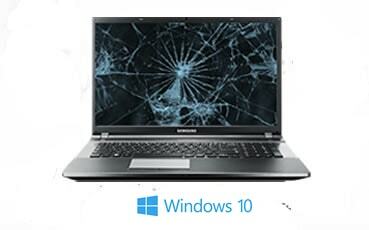 Prior to dropping off your computer for a diagnostic evaluation or a specific repair service, please call us @ 202-629-0369 for a free phone consultation, to determine the repairability of your situation, as there are some laptop models and associated repair requests/situations that we do not service or support. In addition, due to the hardening of the computer repair industry, some replacement parts are not readily available from US-based supply channels. If you don't know exactly what's wrong with your computer- Don't worry, we offer free diagnostics of your computer system when a valid work order is generated and approved by the customer. If you are shopping around for pricing and looking for a written price quote for a particular repair or service, please Email Us and we will respond appropriately within 1 hour of receiving your request. “My HP notebook kept rebooting for no reason at all? LaptopRepairGeeks.com came to my home and fixed it. Thank You! “My home RCN WiFi was not working for days which is unacceptable. LaptopRepairGeeks.com resolved the issue and I have Internet now. “I dropped and cracked the glass on my MacBook and MicroCenter said 7 days to fix, Laptop Repair Geeks fixed it for a lower price! ©2019 Laptop Repair Geeks of DC - An IT Division of SBIT Partners Inc.